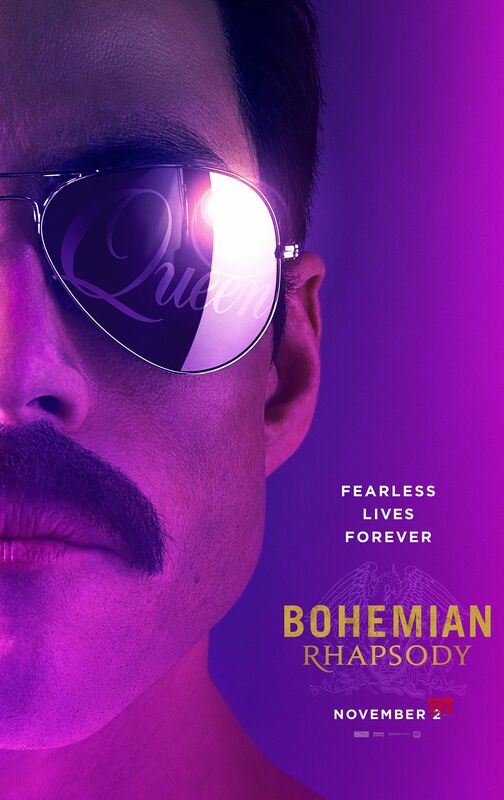 20th Century Fox has released the first teaser trailer for the musical drama Bohemian Rhapsody, starring Rami Malek as the iconic Freddie Mercury, front man of the legendary rock band Queen. The movie Bohemian Rhapsody, follows the band Queen on their highs and low and their unforgettable performance at Live Aid. A movie about front man Freddie Mercury and Queen was something that had been in the works for several years having a number of different actors and directors attached to the project. When filming for Bohemian Rhapsody finally got under way, Bryan Singer was the director calling the shots, but was fired during production and replaced with Dexter Fletcher. When it comes to teaser trailers Bohemian Rhapsody does its job with out giving anything away of the film and still gets you excited just from the use of Queen’s music alone. Musicals in general do not excite me. There have been a few that I’ve enjoyed for sure, but the majority I’ve watched I’ve never gone to theater to see. The one question I have about Bohemian Rhapsody is, did Rami Malek actually re-record all of the songs the movie will feature or is he lip syncing the original music sung by Freddie Mercury? I would rather know that Malek lipped sync Queen’s music, especially if the plot and story-line of the movie are good than to have him actually try and sing the songs himself and have it sound as if something is off. Am I excited to see Bohemian Rhapsody? In all honesty I could go either way, but before making a final judgment I’m going to wait and see what they show me when the first full trailer is released.